Government agencies in the Democratic Republic of the Congo say that 250 schools in North Kivu and Ituri provinces will open their doors to more than 82,500 children when the new school year starts on Monday. These areas are the epicenter of the recent Ebola epidemic in the Democratic Republic of the Congo. The Ebola virus is extremely contagious. It can quickly spread through direct contact with blood and other body fluids of infected persons. UNICEF says it is stepping up operations in the region to promote prevention. It said that school leaders and teachers would receive training on prevention and protection of Ebola and how children could be taught good hygiene practices to prevent the spread of the virus. "More and more communities are now aware of Ebola and … they know better how to prevent their transmission," said Boulierac. "The active involvement of affected communities is the key to stopping the spread of the disease, so we work closely with them to promote hand washing and good hygiene practices." 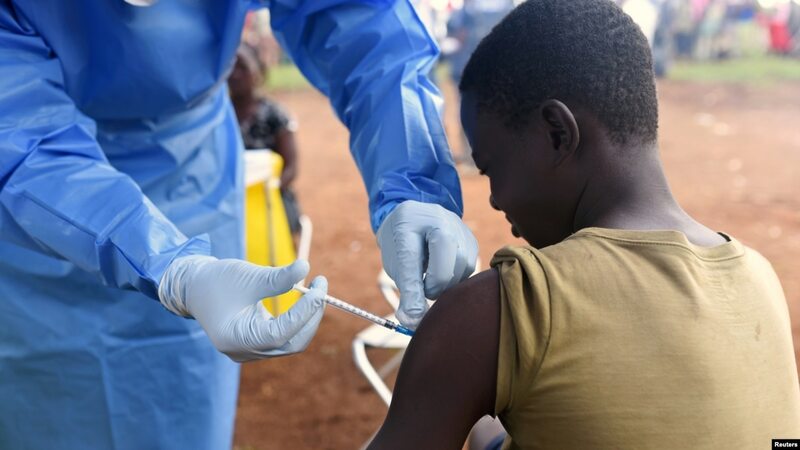 According to the World Health Organization's latest estimates, there were 116 cases of Ebola, including 77 deaths, in the Democratic Republic of the Congo. UNICEF said children make up an unusually high proportion of people affected by the disease. It found that 24 percent of confirmed cases were in people under the age of 24. Boulierac said more than 150 psychosocial workers had been trained to assist infected children in treatment centers. He said that they would also support children who were released as free from Ebola but whose return to their communities risked stigmatization.